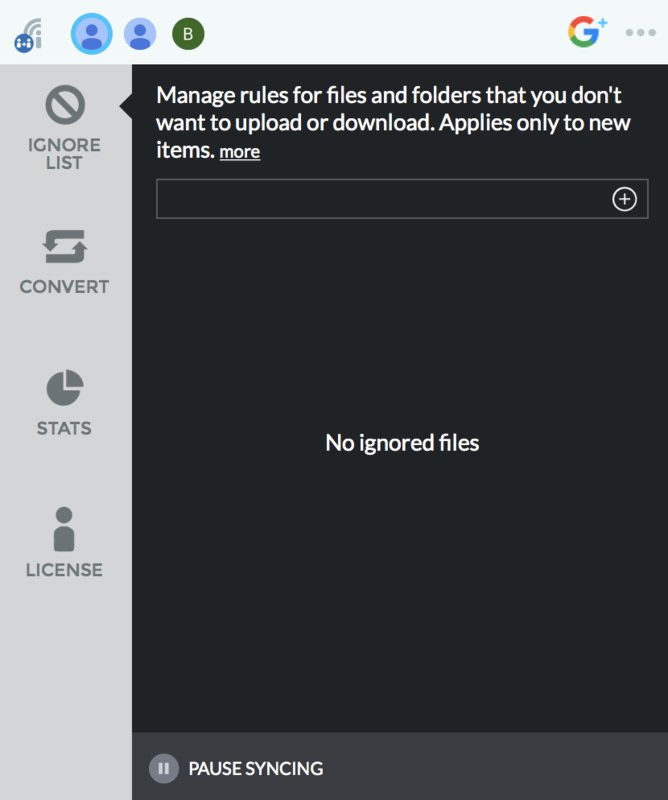 1.4 combines the familiarity of the Insync app, super-powered with file manager features. 2. 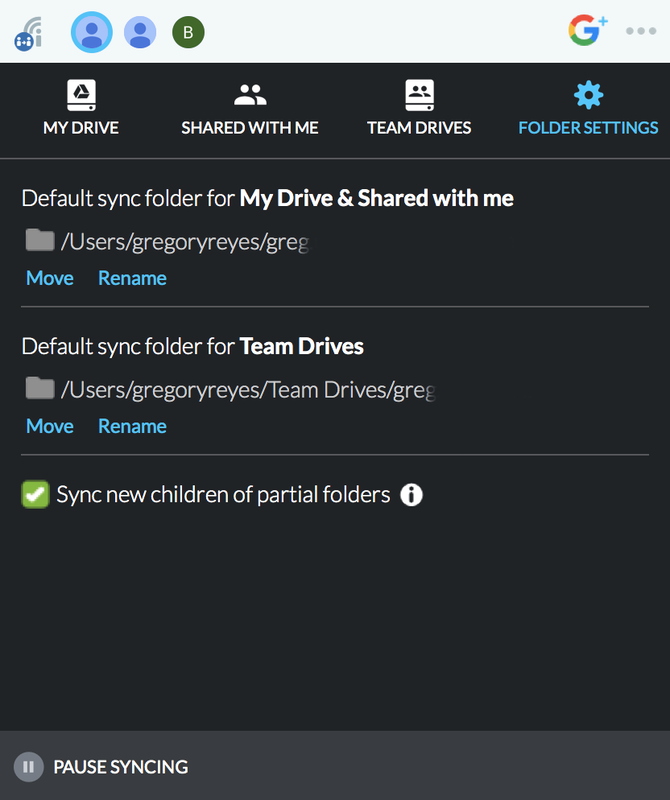 The Account view is now solely dedicated to syncing your different drives such as My Drive, Shared with Me, and Team Drives. 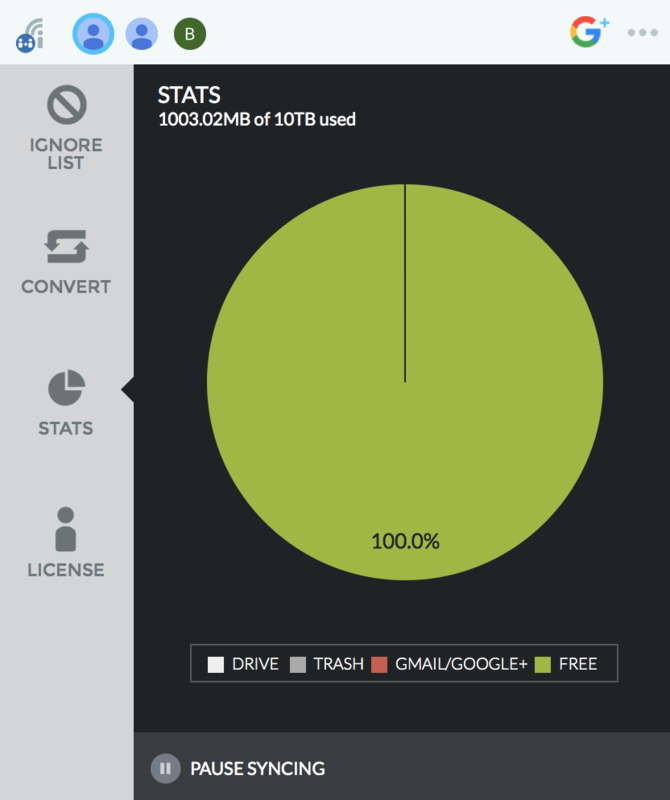 You will be able to see this by clicking on your Google Account on the top bar. 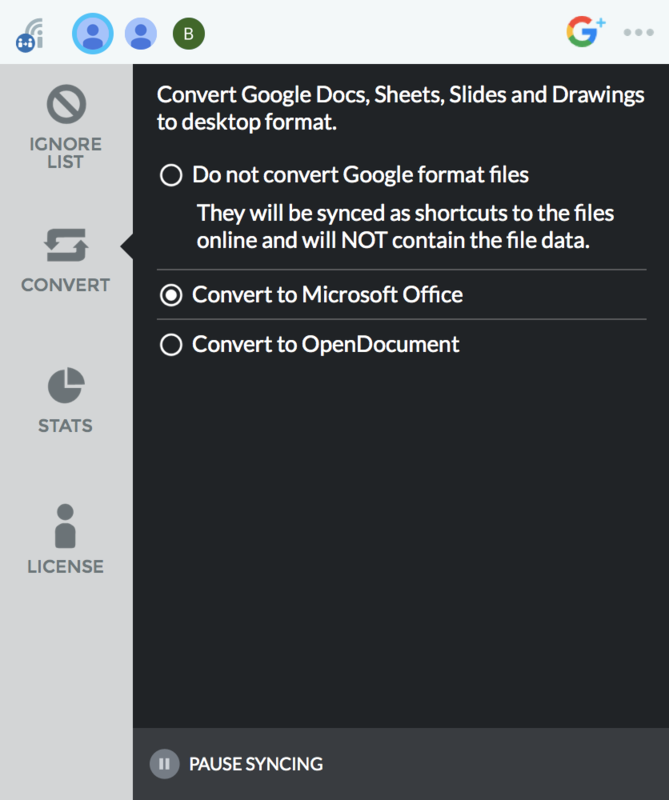 It allows for clicking functionality such as double-clicking to sync and open a file, and right clicking to reveal other actions. 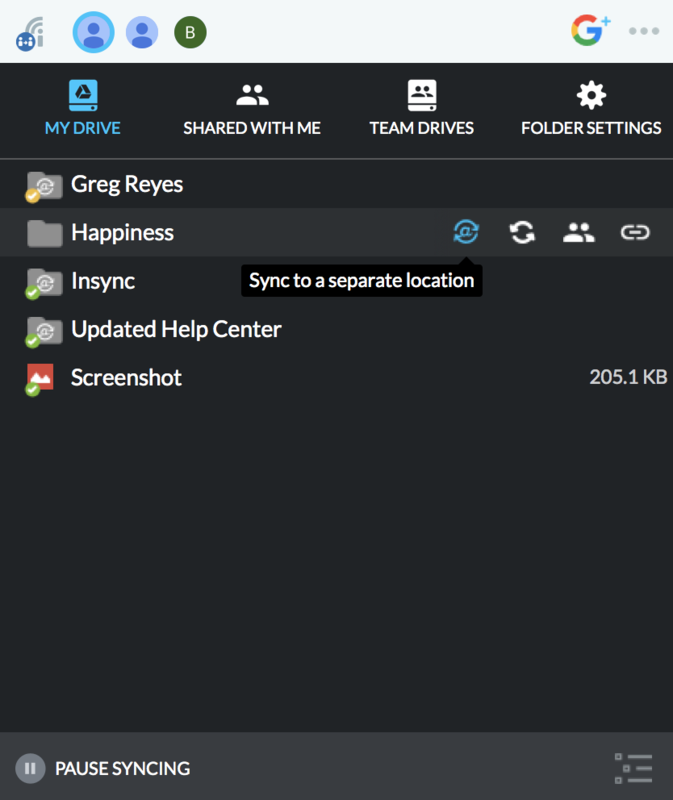 You can also easily change the default location of your Insync folder under the Account view. 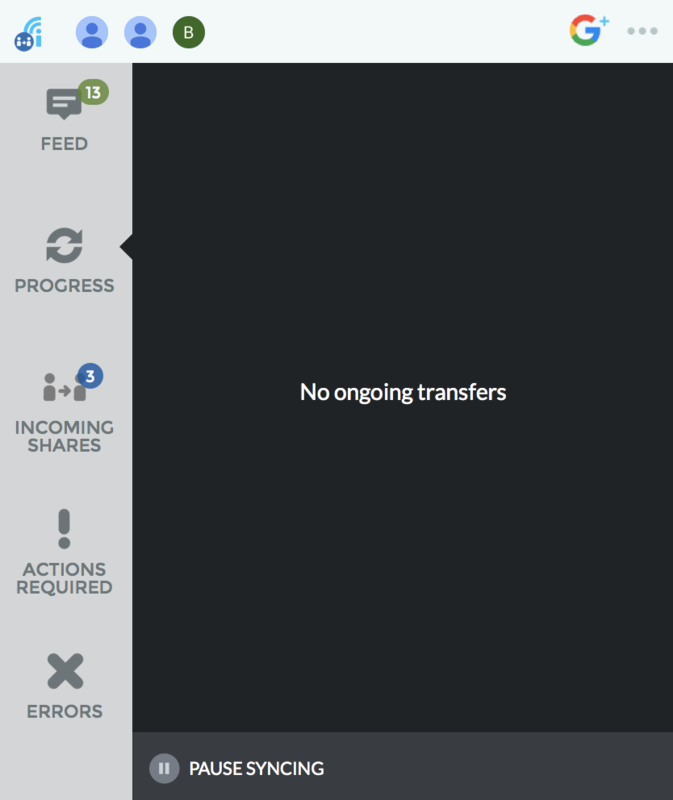 Click on Account view, then go to Folder Settings. 3. Clicking on Settings upon hovering on your Google Account. 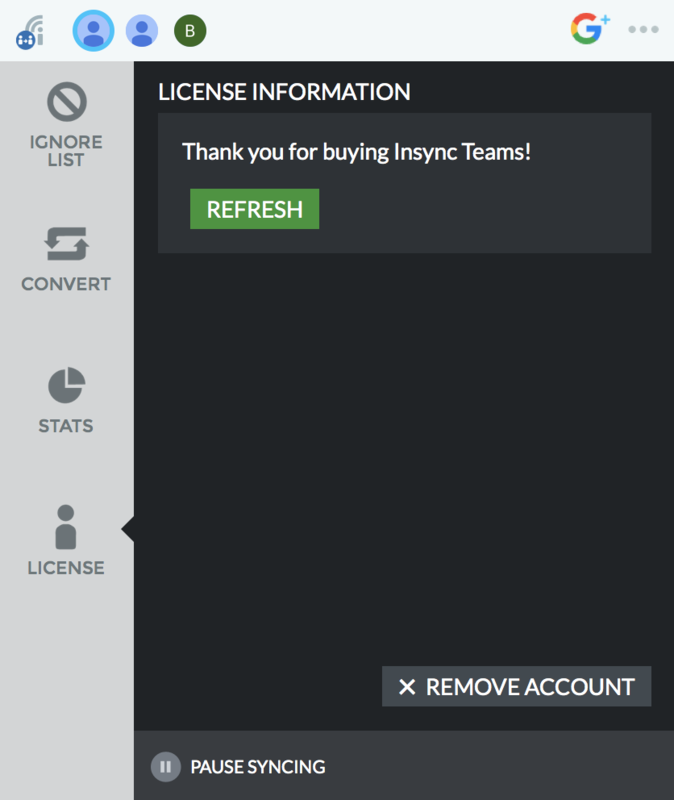 It will reveal other account-specific settings such as Ignore List, Conversion, Stats, and License. 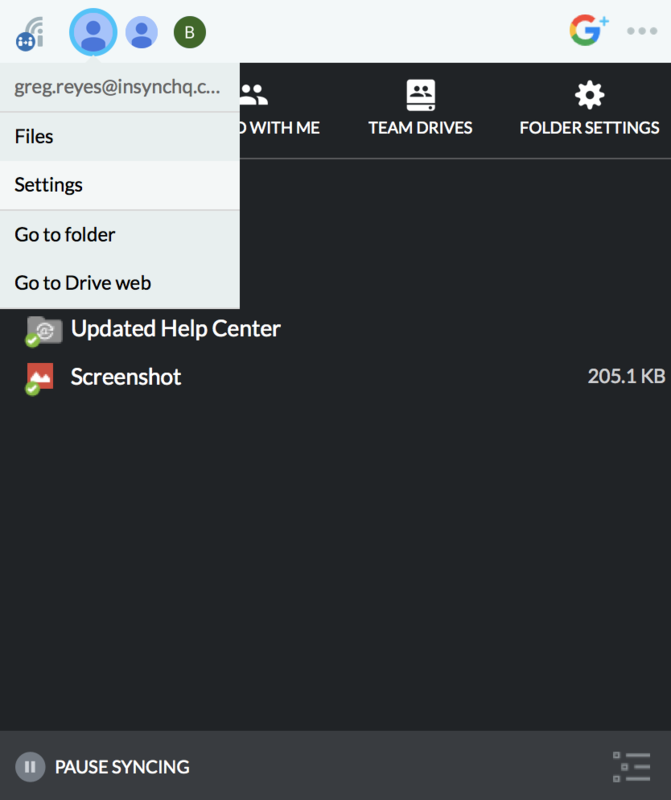 You can easily access commonly used features by hovering your pointer on the files and folders. Click the "@" icon to sync a top-level folder to another location. 2. Sync a single file or folder with one click. 3. 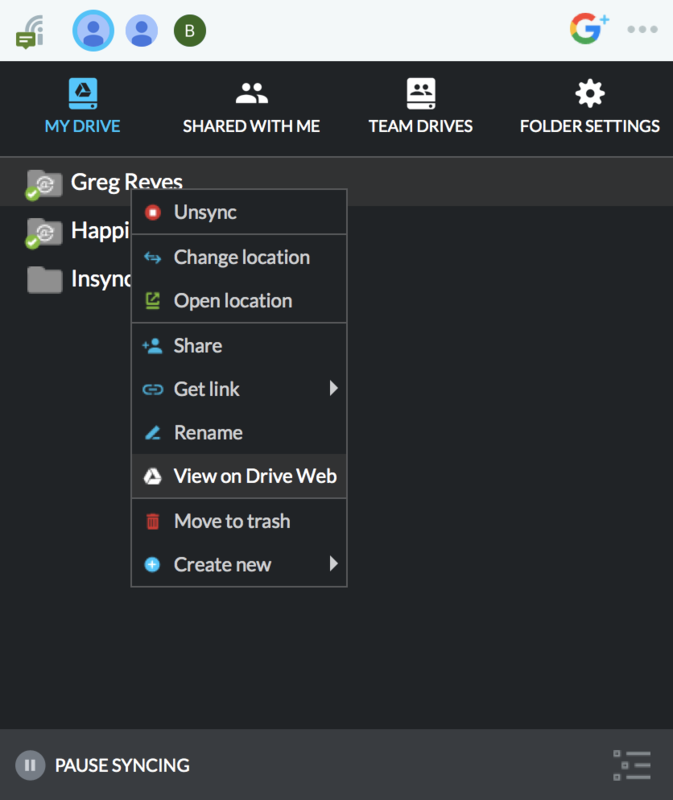 Share files easily with friends and colleagues. 4. 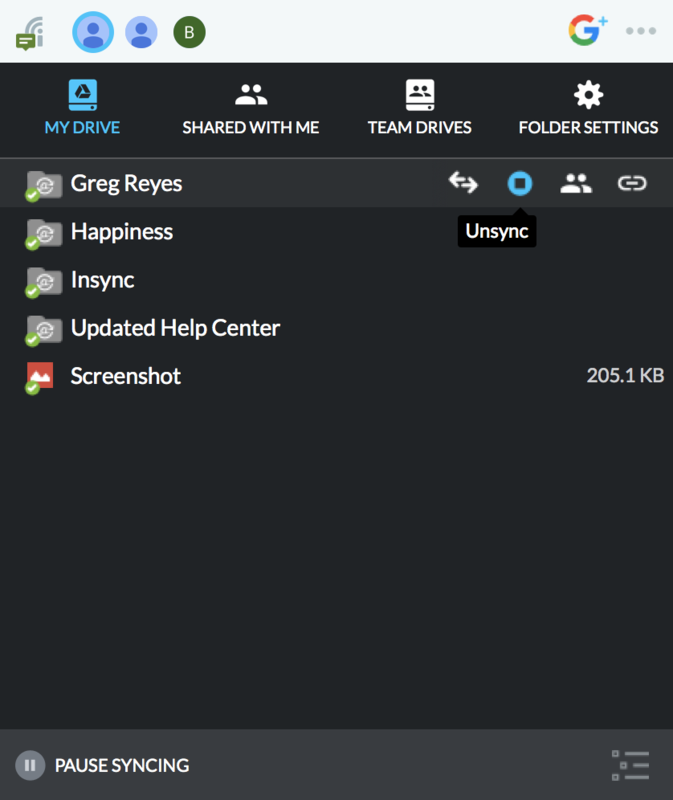 Selectively unsync a file or folder.